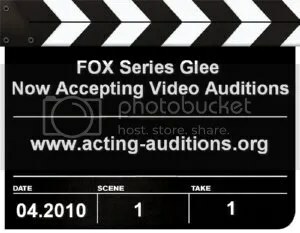 The executive producers of ‘Glee’ have begun a nationwide casting search to fill new roles that will be added to the show’s second season. 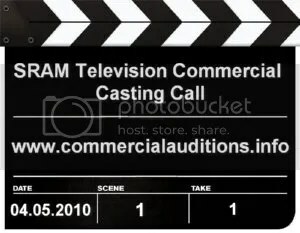 Auditions are open to professionals and amateurs between the ages of 16-26 who are be a legal resident of and/or eligible to work in the United States as of April 26, 2010. The new Twilight Saga short novel "The Short Second Life of Bree Tanner" not to be made into a film. Before Stephenie Meyer decided to release "Bree Tanner" to the public, this short story was lent to "Eclipse" screenwriter Melissa Rosenberg to help her understand how Victoria (to be played by Bryce Dallas Howard in the upcoming film) created her army of newborn vampires. 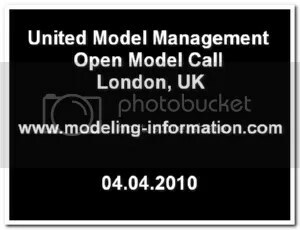 United Model Management in London, UK is holding an open casting call on April 4, 2010 for male and female models who are interested in joining their roster. The United team has many years experience working in both the production, fashion, advertising and the creative industry worldwide. Their agents are highly experienced, knowledgeable and have a keen eye of finding great talents. Primetime Emmy Award nominated and Artios Award winning Casting Director Rene Haynes (The Twilight Saga: New Moon, and The Twilight Saga: Eclipse) is holding an open casting call for the upcoming feature film ‘Winter in the Blood’. 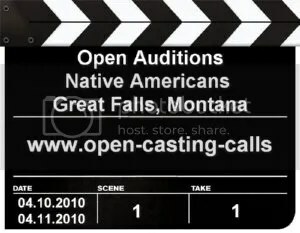 The film will be shot entirely in Montana starting in June, 2010. 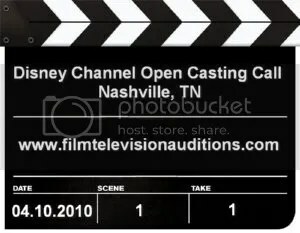 Disney Channel and Disney XD are holding an open casting call on April 10, 2010 in Nashville, TN. Disney is seeking talented boys and girls between the ages of 10 and 18 (or look like you are 10 – 18 years of age) to be considered for roles in upcoming Disney Channel and Disney XD Original Movies and TV Series. World renowned bicycle component manufacturer SRAM is pleased to host a casting call for amatuer racers their upcoming television commercial campaign. If you would like to be considered for a starring role – alongside such professional racing legends as Levi Leipheimer, Lance Armstrong, Fabian Cancellara and others – SRAM wants to hear from you! 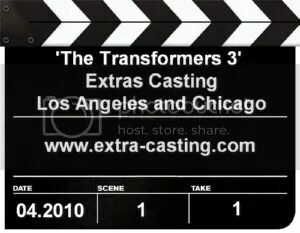 The Transformers 3 is now in pre-production and extras casting is now taking place place. Director Michael Bay has signed on to direct his third Transformers picture. Pre-shoots start April, 2010. The filming locations are set for Los Angeles, Chicago, Washington, D.C., Florida, Texas, Africa, Moscow and China.